Hello to all my fellow book lovers, Hope you are having a great Friday. I would first like to apologize this blog was supposed to be up on July 9th and my Computer Crash that day. 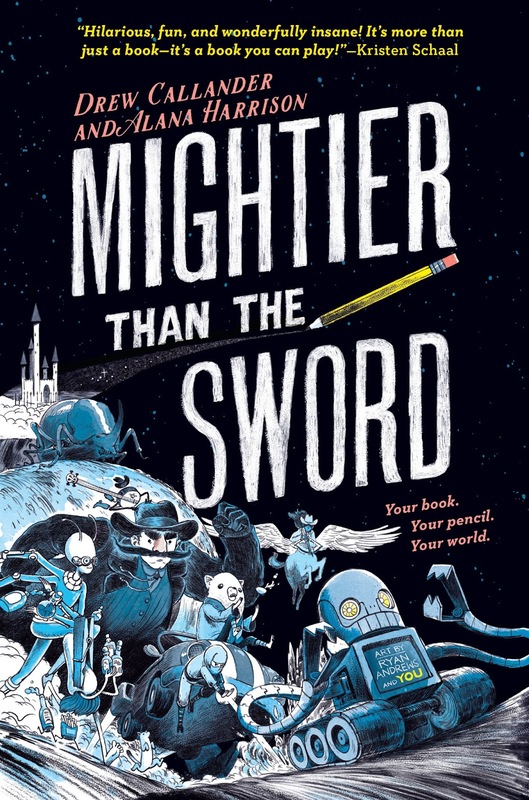 So I am putting up this blog today for Mightier than the sword by Drew Callander and Alana Harrison which was released on July 10th 2018. 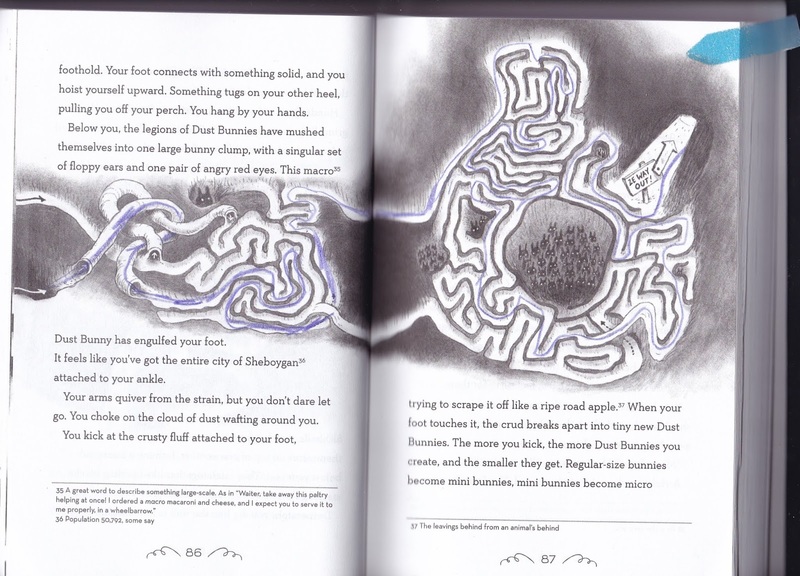 It is a Middle-grade book with tons of activities. So now onto my summary and review like always. Huge thank you to Penguin for providing me with an Arc on this book. As I've said this book is a middle-grade activities book about YOU... Yes, You, or whoever is reading this book. It becomes almost Alice in Wonderland, as you enter this book. You seem to become apart of this fake world. A world where food makes fun of you. A French Stout by the name of Manteau has to help you defeat the evil Queen Rulette as she has the Great Prince S. You must save Prince S by all of these mystics aka Activity ways in order to Save Astorya. Now, will you go on this journey to save Prince S, after all, Manteau is waiting for you? As I am rating this book, I am thinking about whether I would have loved this book as a kid. So please keep this in mind for my rating of a Five out of Five stars. This book is a really cute fun story. I love the feeling of Alice in Wonderland that I get from it. Plus I love all of the cute activities you have to do in this book. I have inserted an Activity below for you to view so you can see how fun they are for the kids. These activities are also changing, it did take me a while to figure out how to do this one. I love Manteau and how he is always correcting the character which is literally you. I love how the writers came up with different meanings for words and added little jokes throughout this book. This book is great for a child between 8 and 12 who loves cute stories like Disney fairy tales and fun activities. Now you get to really check out this funny adorable book. As always all links will be below for the book, the authors, and my social media. I am truly sorry for this blog not being up on time and I hope you will return to read more of my blogs.